Chief operating officer Jenni Jones last worked as an executive with a human dental group. From left, Michelle Phuong, Jenni Jones and Dr. Jennifer Bruns. WellHaven Pet Health has promoted or appointed three women into leadership positions at the 40-hospital practice management company. 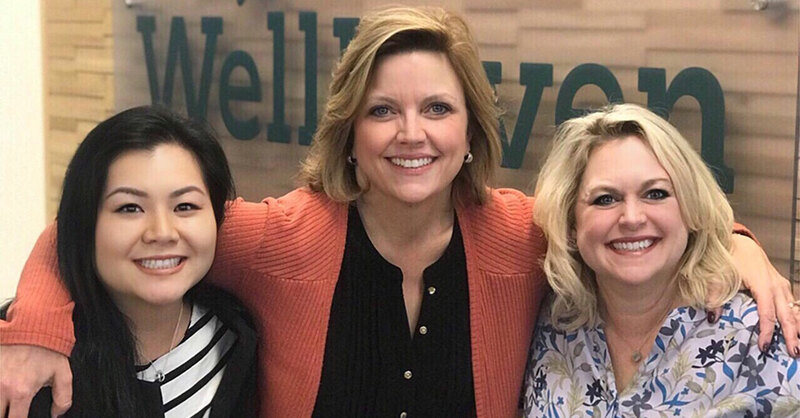 Jenni Jones joined WellHaven as chief operating officer, while Jennifer Bruns, DVM, MPVM, was promoted to chief veterinary officer and Michelle Phuong to director of systems and projects. “[Jones and Dr. Bruns] will make a powerful team in helping our practice reshape the profession,” said Bob Lester, DVM, chief medical officer at WellHaven and a Today’s Veterinary Business columnist. “Both are proven, remarkable leaders who get our profession and will help our practice continue to lead the industry into the future. Jones last served as chief operating officer at Midwest Dental, a group of 230 dental practices. “WellHaven set out to find the best leader in health care, one who understands the needs of a growing, relationship-based, largely women-led profession,” WellHaven CEO John Bork said. Today, more than 80 percent of students in colleges of veterinary medicine are women. WellHaven, based in Vancouver, Washington, manages hospitals in Minnesota, Colorado, Montana, Oregon and Washington state.